How Far is Pride Park Titanium? Situated in the gated community of Park Street, Park Titanium is a rare jewel crafted for the true titans in you. Here, every flat spells class and luxury, making your home your most prized possession. Expect a red carpet treatment every day for the rest of your life at Park Titanium. Life at Park Titanium is the perfect blend of fitness and style, be it a well-equipped health club, indoor games, a party hall, or a putting green at your doorstep. Park Titanium has everything in the book and outside it as well, to make the world go green with envy. 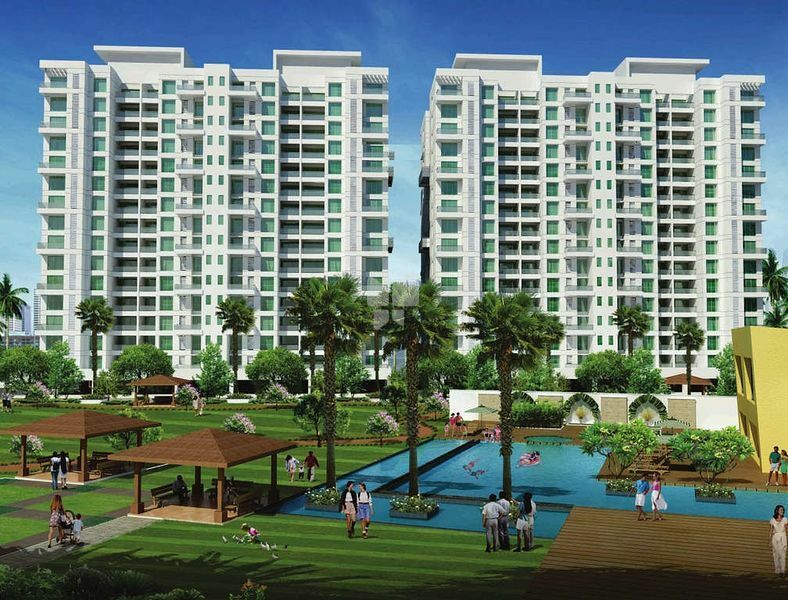 Move in at Park Titanium, Wakad and experience a life less ordinary. Earthquake resistant RCC structure, with floor-to-floor height of 3.05 mtr. Walls/Ceiling: Environment friendly, fly ash/mud bricks brickwork finished internally with either backing plaster or POP over it, or gypsum finish. White acrylic primer with putty for walls and ceilings. Externally, the entire building shall be finished in fully acrylic paint. All external/internal doors/frames will be designer doors with S.S. finished mortise locks of Dorset/equivalent make. All doors with magnetic door catchers. Main doors will have lock with card and key facility. The key card provided will open the doors to all common facilities such as lobbies, club, etc. 900mm x 900mm vitrified tiles in lobby, living, bedrooms and passage areas except Master bedroom which will have wooden flooring. Anti skid/rustic/matt tiles in kitchen, bathrooms, terraces and balconies. Three-phase electrical supply to all apartments with concealed distribution board and MCB's/ELCB's/Isolators. Concealed copper internal wiring with Legrand Mosaic/equivalent plate type switches. Sufficient light/plug/power points. 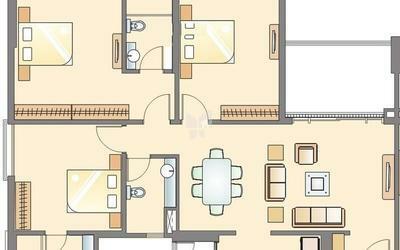 Provision in all bedrooms and living room for air-conditioners. Electrical provision and provision for fixing outdoor units for split AC along with required cores in beams/walls to facilitate fixing of split air-conditioners without any damage to walls/paint/etc. Furnished modular kitchen with granite platform on two sides with cabinets below and above the platform with stainless steel sink. Rustic/ matt finished flooring tiles along with suitable wall tiles. Metered piped gas in kitchen. Concealed internal plumbing for water supply. All bathrooms with hot/cold water supply for shower and washbasin areas. Designer tiles on all walls, KOHLER / equivalent make sanitary ware to be provided with platforms (wherever possible) for the washbasins. Hot/Cold mixers, taps, etc. of KOHLER /equivalent make and all shower areas with glass shower partitions/cubicles. False ceiling in all bathrooms. LPG reticulated system in the kitchen.